After our visit to beautiful Yazd, we stopped at a little city called Meybod. It is 1800 years old and known for it's mud brick buildings. Time was very limited and we only got to stop by a couple of hand ceramic places. The main road was full of shops that made the products in house and sold them. They were very welcoming and it was great to see the process of the ceramics being made from clay to the final item. The crafters and artists were very busy with their work, but they smiled and answered everyone's questions. 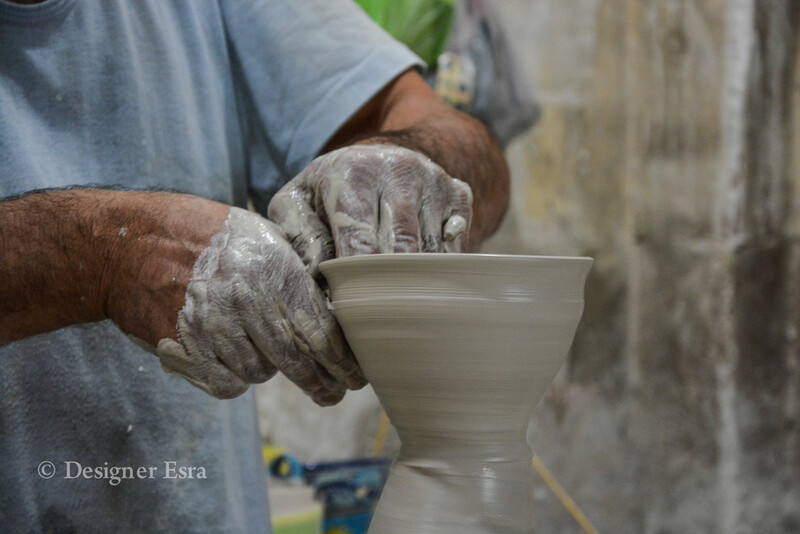 Here are some shots of the beautiful ceramic process I captured in Iran. 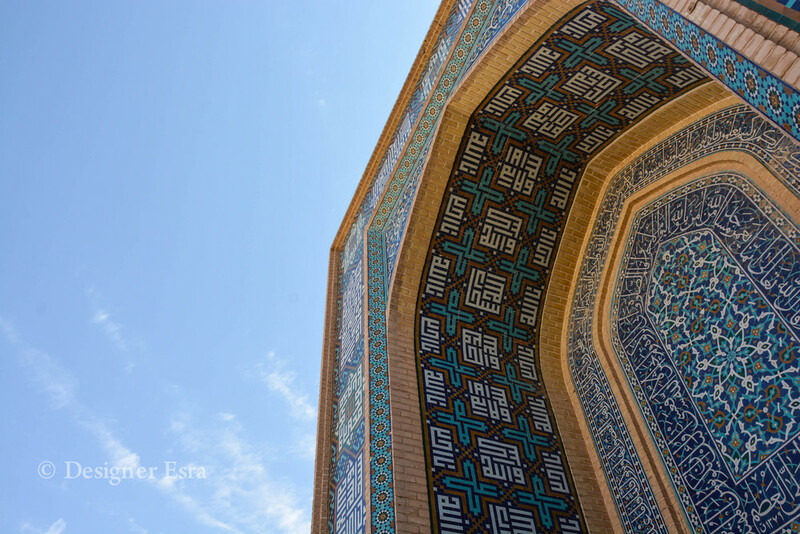 When I first got into Yazd I wasn't sure that I will love it because it was slightly different than the rest of what I visited in Iran, but by the time I left, I was totally in love with Yazd. 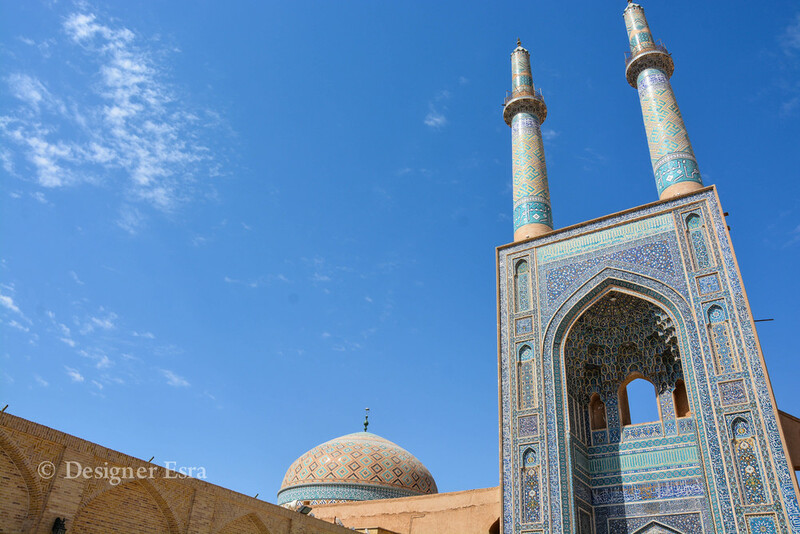 The Jamea mosque was one of my favourites on the turquoise tour. To give you an indication of how much I loved it, I went to the same mosque three times in the space of two days and took pictures every single time. I took so many pattern pictures to redraw. It was built in the 12th century and renovated in the 14th century. 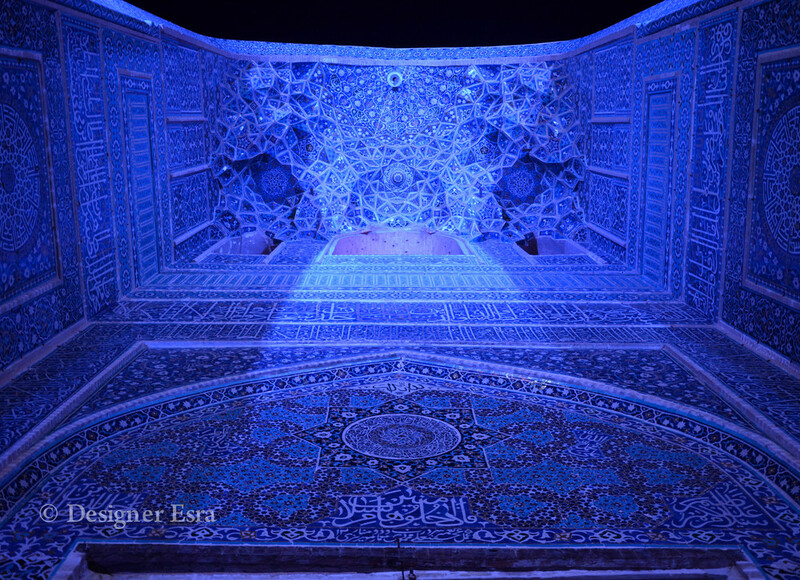 It is known for its Azari style and dominant Persian blues. It is still in use. 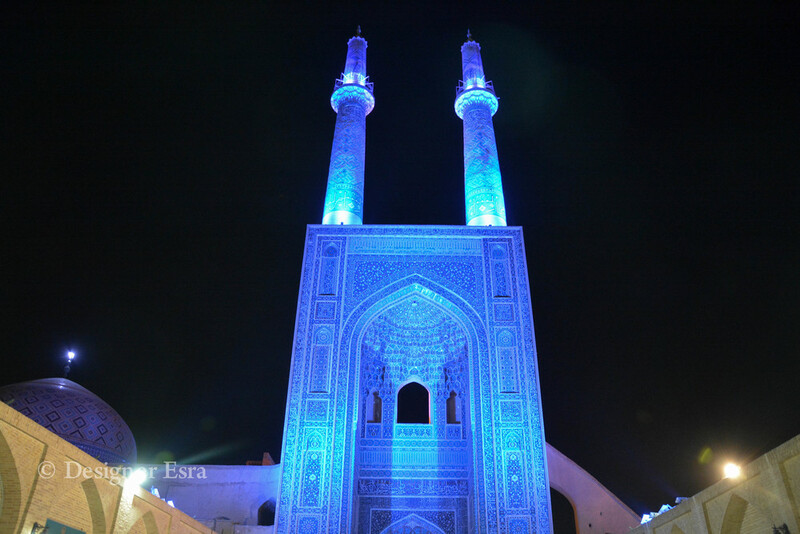 Yazd's town centre and gardens are also worth visiting. 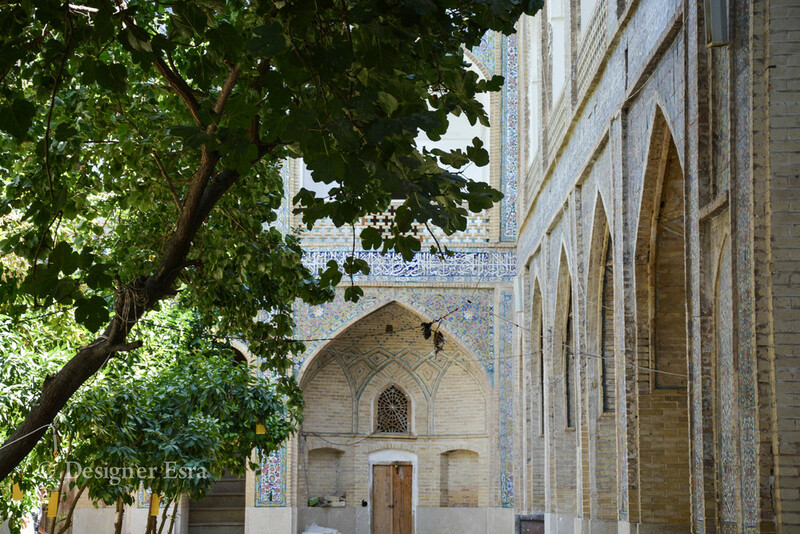 Yazd is unique in its passageways in the old part of the city and the dome like structures. It reminded me slightly of Fez. I was walking there in one of the most beautiful nights. There was a full moon, stars, peace & good company. I will forever be thankful to God for such an opportunity. I think Persepolis was my least favourite place we visited. I was fascinated by the scale of everything, but I wish I have done my research before I went to appreciate it even more. Plus going there between 10am and 1pm was not a great idea because that is when the sun hit its hottest. Although, it was September. I think going in the afternoon around 4pm will be a more ideal time for hotter months. 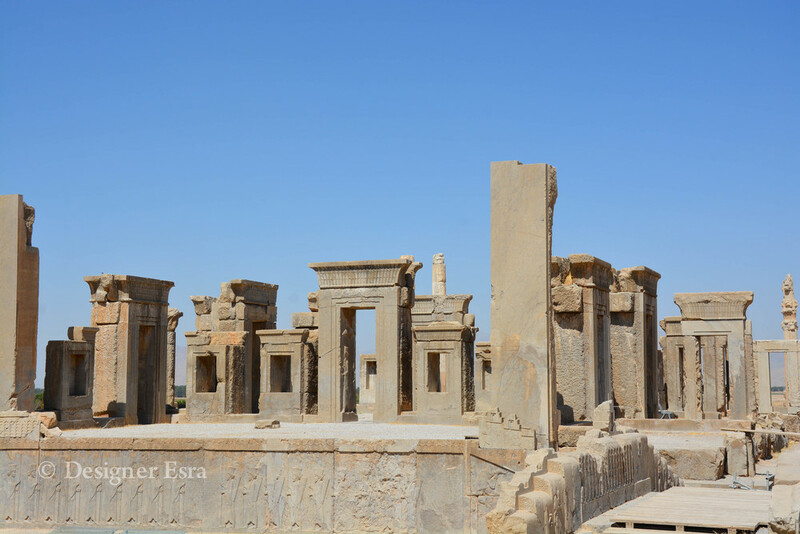 Persepolis was built by Darius I in 518 B.C as the capital of Achaemenid Empire. 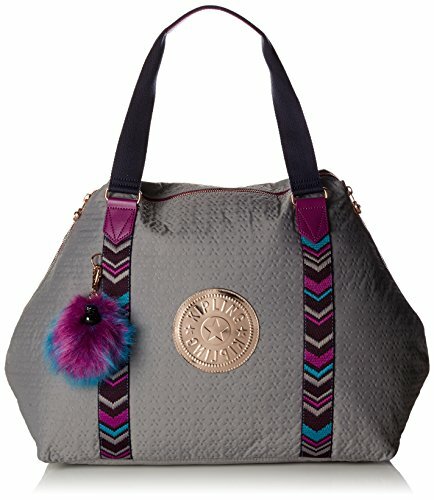 The thing that resonated with me the most was the thoughtful design. For instance, the staircase leading up was designed to purposefully make the steps of the visitors slower and more dignified. My visit was about three hours because it is a huge place and there is a bit of climbing up to enjoy the view to the fullest. That was the most enjoyable part for me because my friends and I got to fool around and pretend we were flying in the refreshing breeze. Shiraz was our first stop with the turquoise tour. The city had so many beautiful architectural gems & delicious food. 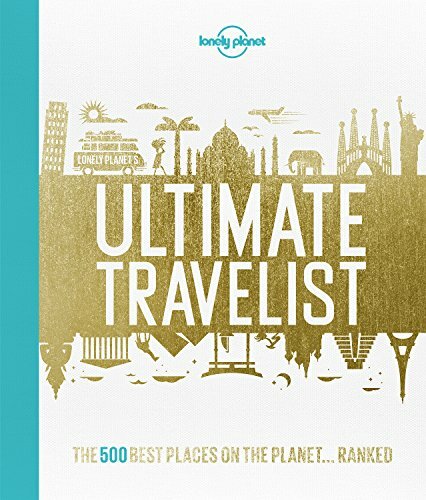 It instantly made its way to the top of my "favourite places" list. Shiraz had the best Iranian food that I have ever eaten in Iran and abroad hands down. That was my fifth visit to Iran and the Shirazi food made my eyes pop. It wasn't just the standard kebabs and rice. They had many specialty dishes with fresh ingredients and the right amount of spices. Dinning in restaurants is a thing in Shiraz more so than the rest of Iran so the food was cooked with such care. People were very kind and laid back. The main architectural sites we visited were Madrasa Khan, Nasir Almulk Mosque ( Pink Mosque) and Hafiz Tomb. Madrasa Khan was the first stop and the beauty of the patterns was overwhelming. It is dated to 1024. Time was not very kind to this madrasa and its gardens. Some parts were destroyed with war and earthquakes. Some of the tile work has been restored, but if you go and look at both tile works you will be able to tell instantly which is the old and which is the new. I am afraid they have not done a convincing imitation of the original. This is one of the most photographed and Facebooked about mosques. I did not realise that at a time. It is known for its dancing pink lights that are reflected from the stained glass doors. I was recently told a story that resonated with me about the lights. It was put up there as a treat for true believers who wake up early for the morning prayers and make it to the mosque at the time because the reflected pattern are in their fullest elegance in earlier morning hours. It was constructed between 1293 and 1305. Many of the geometric patterns there are based on the five pointed stars. The biomorphic patterns are mostly about pink flowers that are directly stylised from nature. 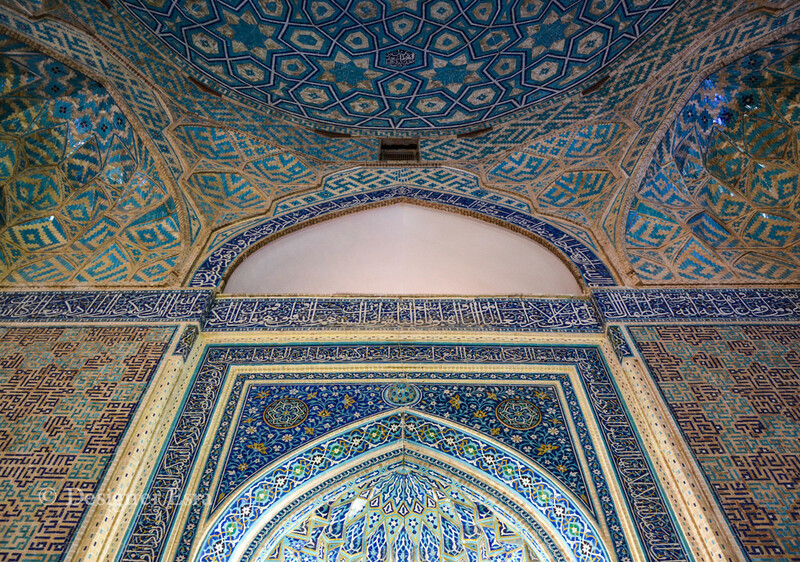 Hafiz Tomb is the burial site of the famous 14th Century Persian poet, Hafiz. I know it's considered as some sort of cemetery in definition, but it is a place for hope and love. It was filled with young and old lovers, families and group of friends. It is a place of remembering a great poet that spoke about love in mystical ways. When you enter you are welcomed with men holding birds. Those men are the ones who predict your future "faal" -for a small fee of course-. The cool thing about this is that the bird chooses a card for you. It is the most generic piece of paper ever and written in Farsi. I found the place and the atmosphere to be soothing and comfortable. We sat there and read poetry from Hafiz and pondered over the beautifully composed words. We even took turns to open the poetry book "diwan" to see which verse we got. That is something that Persians do for "faal" as well. Note: we stayed at the beautiful Karim Khan Hotel and it was wonderful. Across from the hotel, there is a small traditional restaurant that served the most delicious dishes. 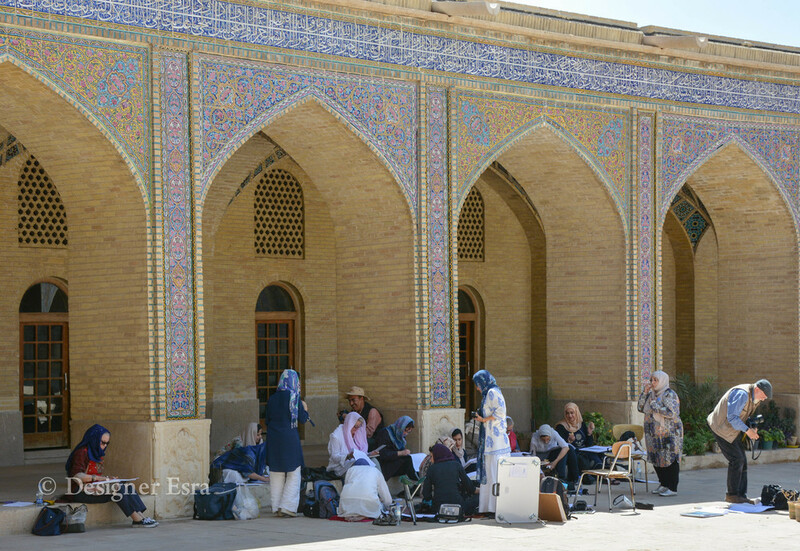 As most of you might know, I was on an Art Study Trip in Iran, The Turquoise Tour, in September 2015 with 18 other creatives. It was lead by three talented and knowledgable tutors: Farkhondeh Ahmadzadeh, Shahriar Piroozram and Paul Marchant. 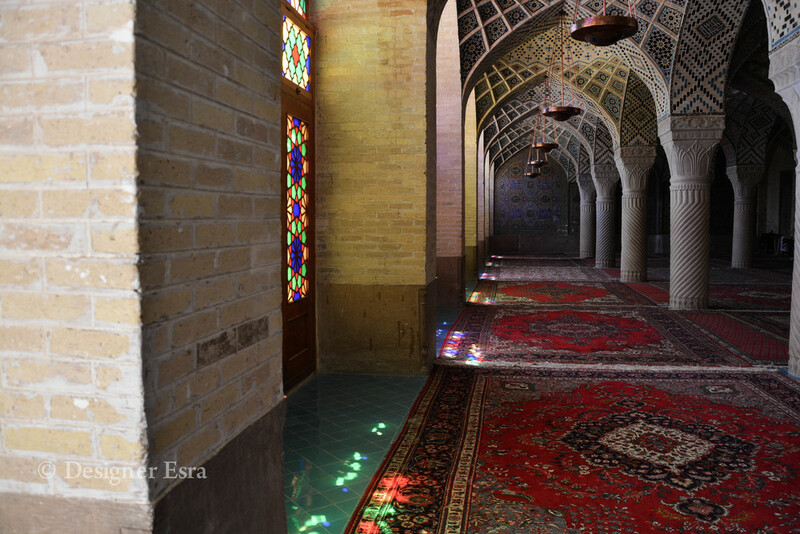 I felt very blessed being able to go on the trip because I have been longing for an Iranian arty tour for years. We went to four main cities: Shiraz, Yazd, Isfahan and Kashan. 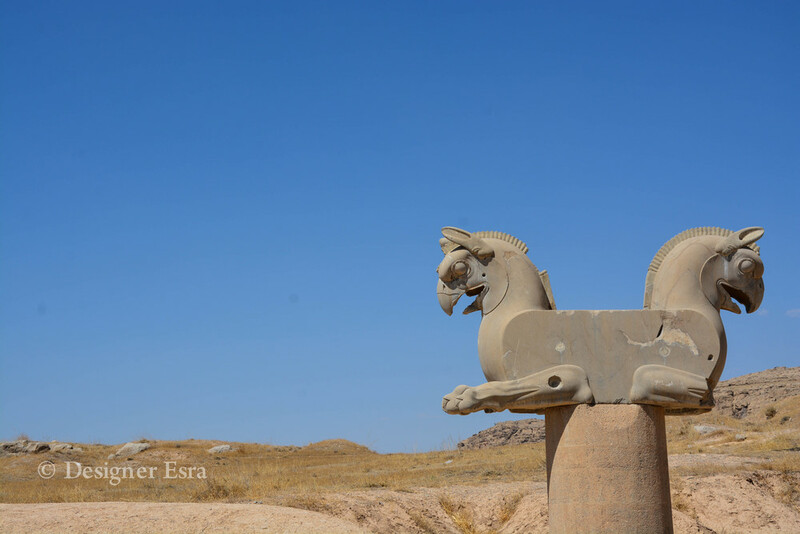 We also stopped by few places on the way like Persepolis, Natanz, Nain and Maybod. A post about each place will be coming up on the blog in the next few days. It's been a challenge choosing the best pictures because I can't possibly post all 5400 photos I took *MashAllah*. The trip was 14 days and I was exhausted by day 13, but I still didn't want it to end. We constructed geometry nearly every morning. Some days we had two sessions. It was very intense, but being taught by these generous tutors was wonderful and priceless. Needless to say, I still need to finish the patterns we did on the trip. 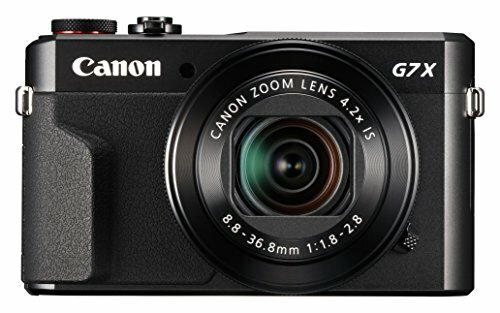 Here are few photos while you wait for the rest of the posts and believe me it only gets better.